So beautiful! Loving the colors and all the fruit bits!! This is awesome, love those colours. I love this yearly scavenger hunt you do with your daughter. What a great idea. Super cute page and such a fun, clever title! love how you added little extra touches to the stickers! 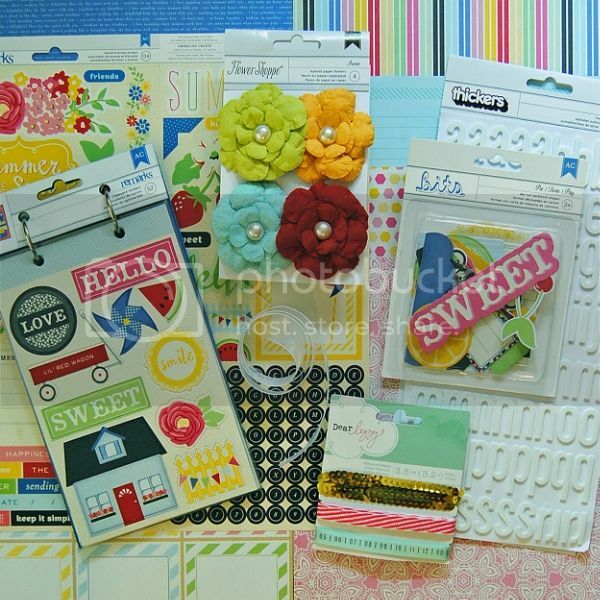 Such a bright fun layout Lisa! I love the doily at the bottom! what a bold beautiful layout Lisa!! LOVE IT!!!! oooooo what gorgeous papers!!! I love all the bits and pieces. So colorful and fun. beautiful layout Lisa!! Beautiful job layering!! 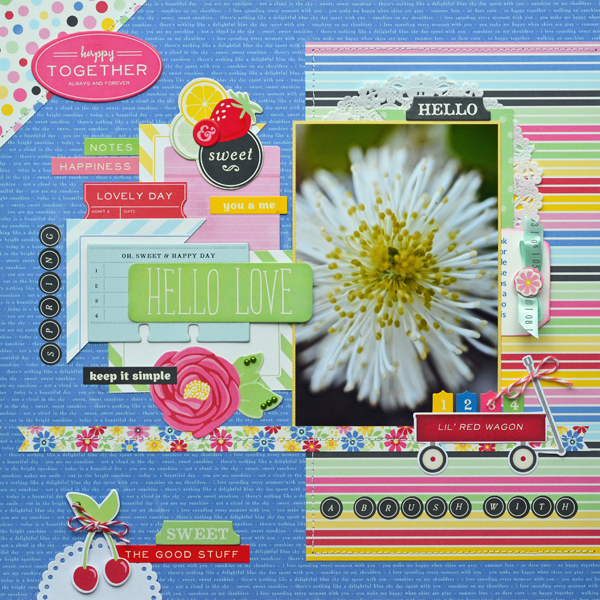 Gorgeous layout Lisa! Love how you got so many fun embellishments in it! very pretty, love the spring photos! I love all the color on this layout - they totally make your photo stand out! How pretty! I love the little red wagon. 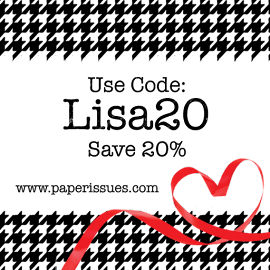 I need to start scrapping stuff like this....not soley focused on people/events! So pretty, lots of lovely eye candy! What a beautiful bright happy page!!! So pretty! I especially love the blue background. Wonderful photo, too! WHAT a FUN FUN FUN kit this is!! You rocked it!! So bright and happy! Perfect product choices for that wonderful photo! Love the way this page flows. Gorgeous photo Lisa!! 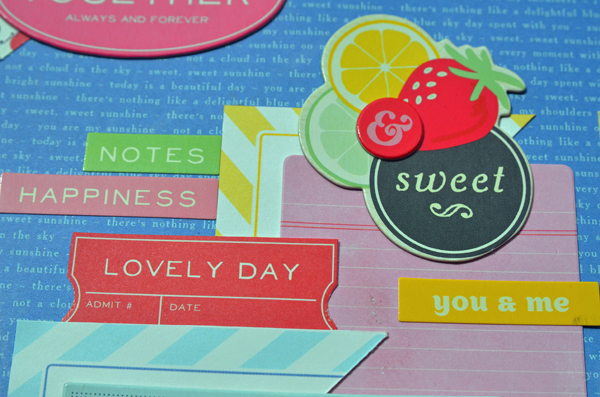 Love the use of the Mayberry and the great layering on your page!! Oh so pretty! Love the vibrant colors! Gorgeous! I love this collection and love what you did here!